Long time no see, y'all! 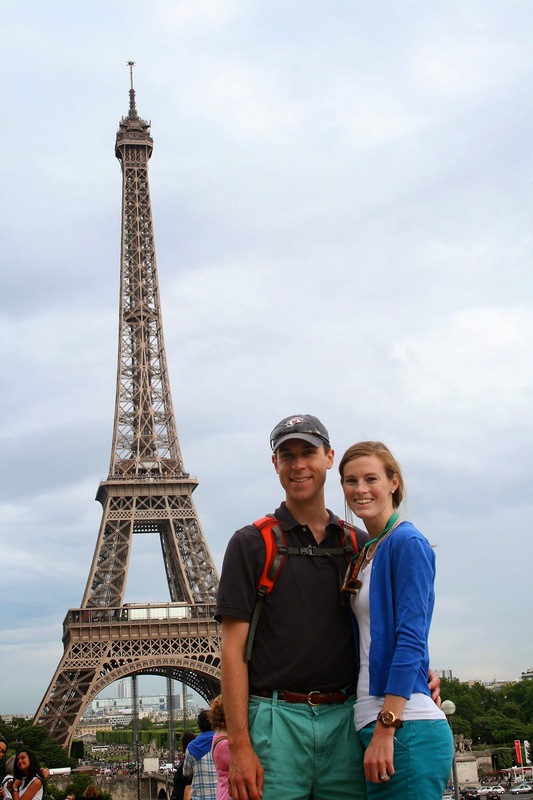 Charlie and I just got back from a lovely vacation in Paris! It was such a fantastic adventure - we loved getting away, disconnecting for a bit and exploring a new city and culture. It was our first time going and we loved our time there. I wanted to take a little bit of time this week to catalog our trip and write down the highlights before those memories start to fade. I also wanted to pass along some tips and resources in case any of you are planning to take a trip over there in the near future. I'll cover that in a post later this week. 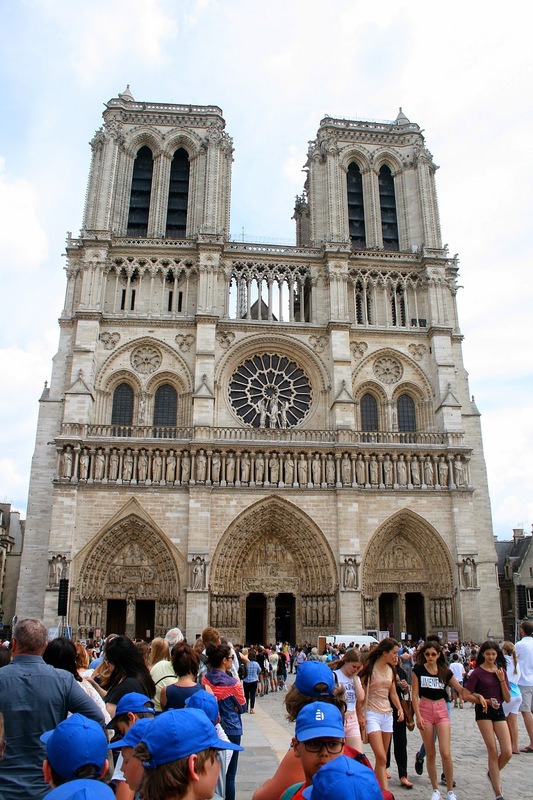 If you've ever been to Paris, chime in and tell me what your favorite parts were! Paris was absolutely charming. The old buildings, narrow streets, sidewalk cafes...all of it! We ate lots of cheese and baguettes (the bread! amazing. ), drank wine and just plain enjoyed ourselves! We kicked off our first day there with an awesome bike tour of the city, which turned out to be a great way to get the lay of the land and learn some history. Here's our little group heading down a pretty little street in the Marais district. 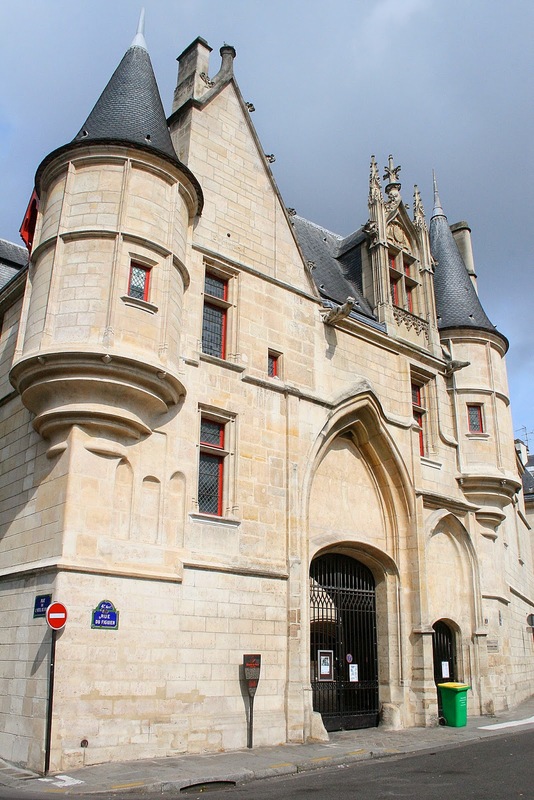 We rode through a pretty little square park in the Marais district called Place des Vosges, which is where Victor Hugo's apartment was located. Our guide was great - she gave us some really fun history lessons on Paris and pointed out both the major sites and lesser known places as well. Pretty castles? Yes please. Apparently putting locks on bridges is cool? Ignore my bike helmet hair and take a look at what's behind us - Notre Dame! And here's a later shot of the Notre Dame from the front and a little closer up :). 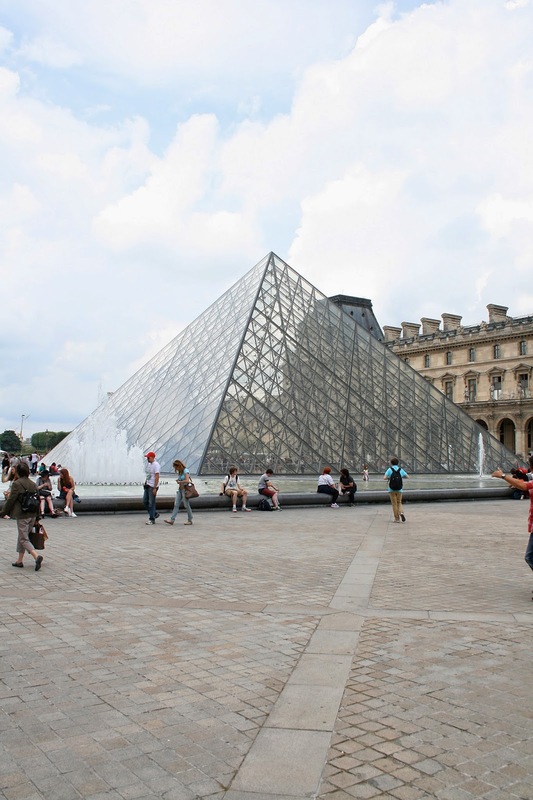 The glass pyramid at the Louvre was quite a sight to see as well. And we saw SO many other cool places as well. Bike tour = major success. 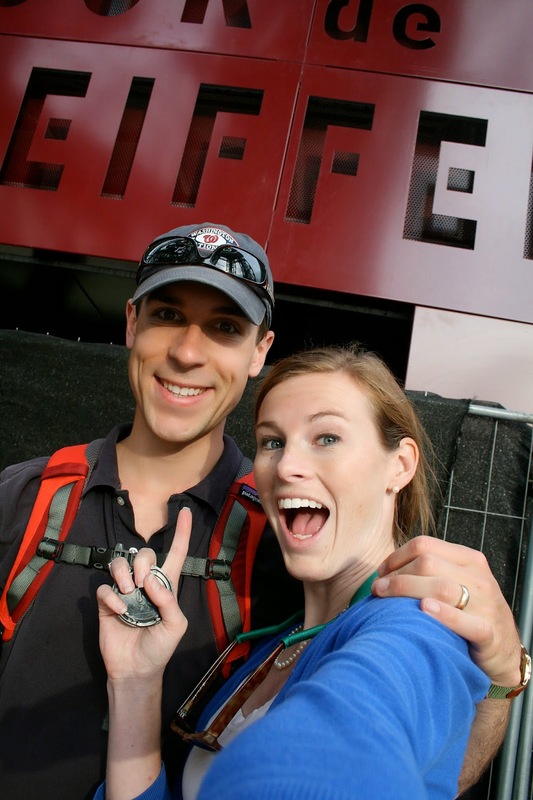 Later that day, we conquered one of the most iconic (and touristy!) 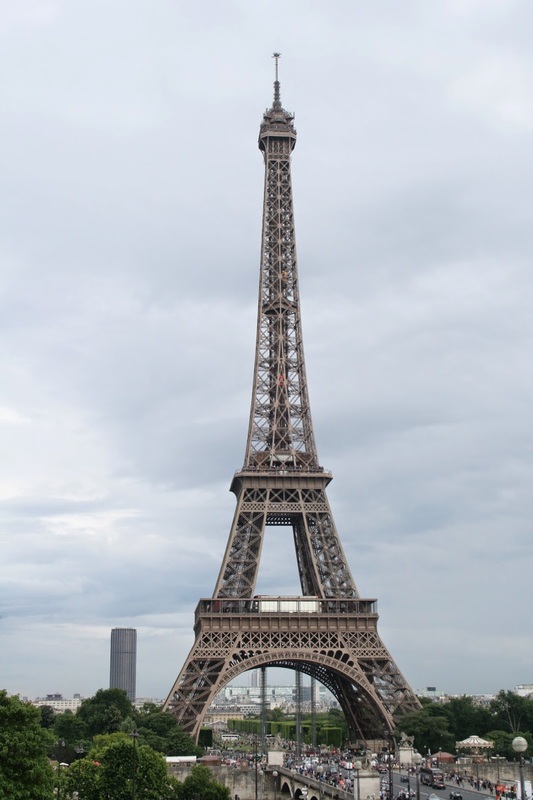 sites in Paris - the Eiffel Tower! 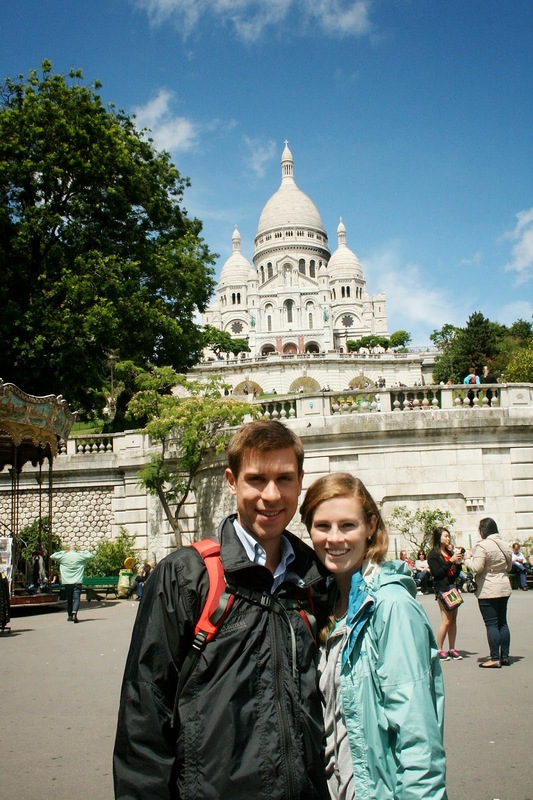 Another favorite activity was a walking tour we took of the Montmartre neighborhood. 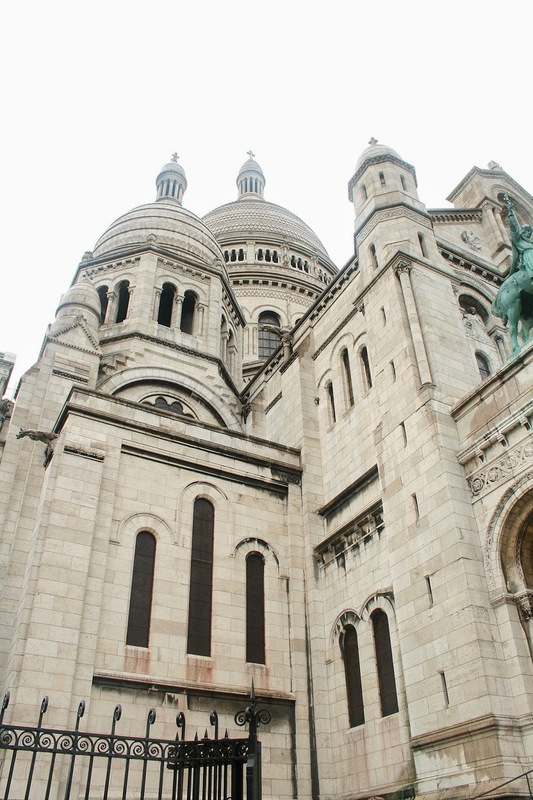 It started at the bottom by the Moulin Rouge and ended at the top of the hill (stopping many times, of course, to learn about the area and history) where the beautiful Sacre Coeur basilica is. 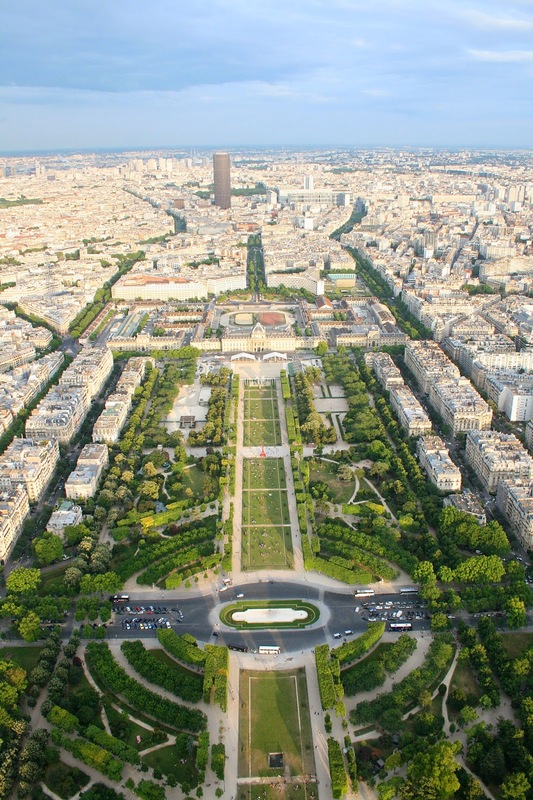 There was another amazing view of the whole city of Paris from the top of that hill by the basilica. And with that, I think I'll stop there for today and be back tomorrow with some more highlights! It's so fun remembering the trip through these photos! Who else has been to Paris and loved it?! Also, I can't finish today's post without wishing my wonderful husband a VERY happy birthday! Love you! Wow, Chaney, your trip looks so fun! 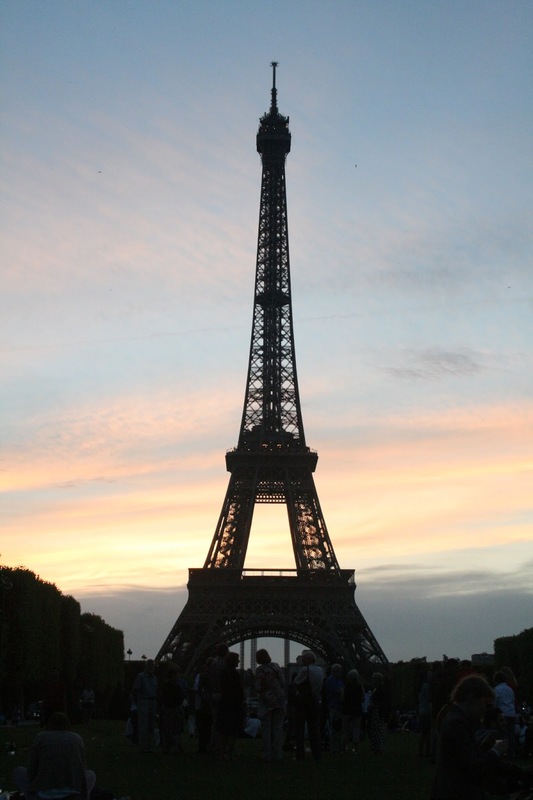 I'd love to visit Paris someday. 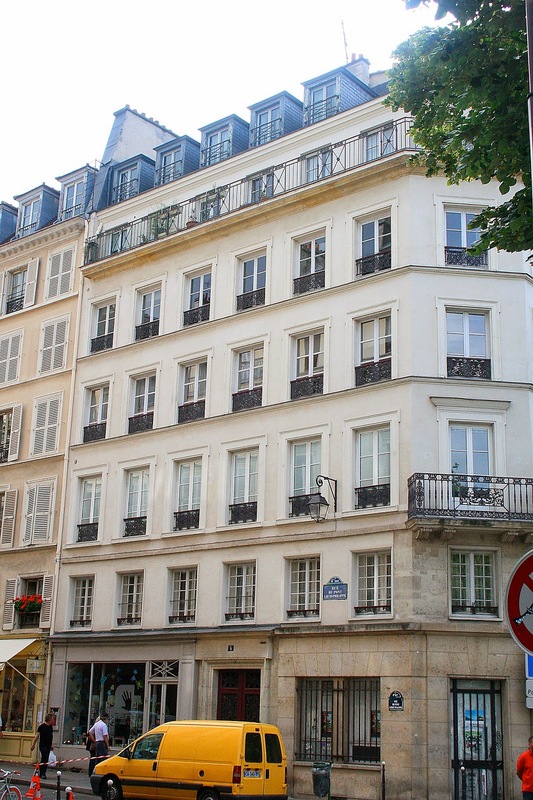 My grandpa lived there for two years while he served a mission for the Church of Jesus Christ of Latter-Day Saints in the 1950's, and I love listening to all the stories he tells about France. 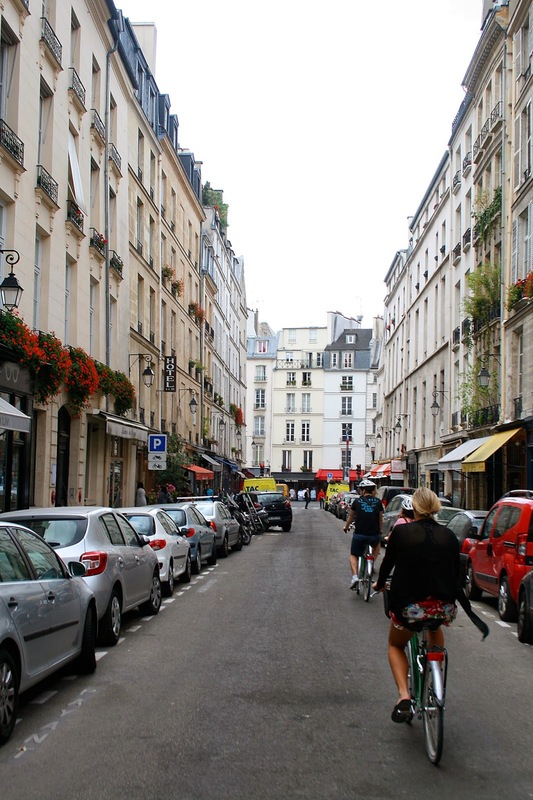 He would always park his bike by a little bakery on Montmartre street. With the locks on the bridge, from what I understand, it's a tradition sort of like couples carving their initials on a tree. 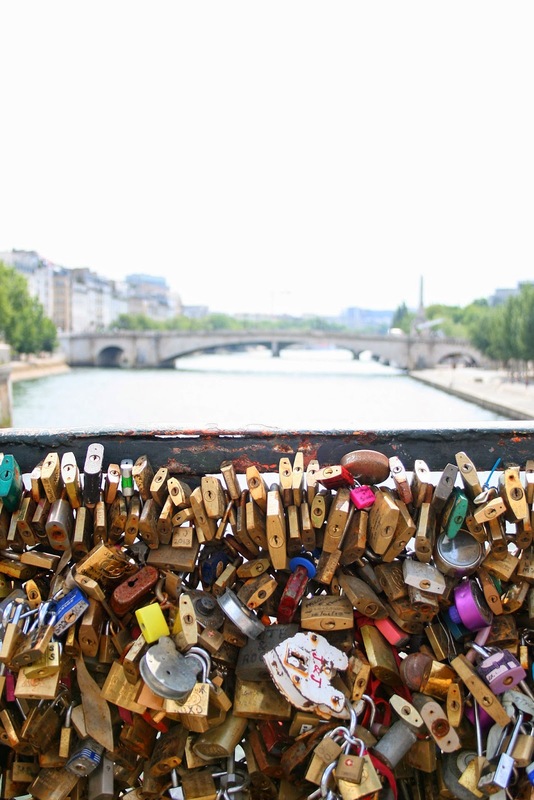 When a couple is in love, they put a lock on the bridge, like it's locking their love to the bridge. Maybe they write their initials on the lock, I'm not sure. But everyone does it, and it can cause problems sometimes--a bridge actually collapsed once because of the extra weight the locks added! So now I think they have to cut the locks off occasionally to prevent that! Pretty crazy, right?